It began with Randy Pierce and his Dog Guide, Quinn, climbing all 48 of the rugged 4000+ foot peaks in the New Hampshire White Mountains. Using these and other adventures to raise awareness, the core mission will continue as Randy will work to inspire others to set their own visions and help them achieve their goals through outreach, education, and support. 2020 Vision Quest leads and inspires students and professionals to reach beyond adversity and achieve their peak potential. We believe in leading by example, in climbing the highest peaks, and in sharing our successes and challenges with each other. Funds raised through these endeavors will be given to two remarkable organizations which benefit the visually impaired community: Future in Sight and the internationally renowned Guide Dogs for the Blind. A 12 year veteran of the marketing industry, Rebecca has experience in brand identity, graphic design and layout, direct marketing and social media strategy. When her son was diagnosed with Autism Spectrum Disorder at the age of two, her purpose shifted. At that time, with the support of her husband, Michael, she began a journey to help her son navigate a confusing and sometimes very loud world. Rebecca is continually amazed at his perseverance and bravery. Now at the age of 6, he is a master at working his strengths, making people laugh, and is one of Randy’s biggest fans. Next to her family, Rebecca’s second greatest passion is running. It was through this sport she was introduced to Randy, who patiently (very patiently) coached her to run as a guide. Rebecca was fortunate to guide Randy for part of the 2016 Boston Marathon. The message of 2020 VisionQuest is to never stop reaching for your peak potential, whatever your abilities. This idea has become the purpose that drives Rebecca and she is thrilled to join the team to help spread that message so others can fulfill their potential. 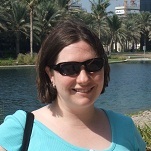 Beth Foote brings a background in writing, marketing, and event management to her role as Dynamic Content Manager for the 2020 Vision Quest website. With a BA in English from Vassar and an MFA in Creative Writing from Lesley, she currently works in corporate event marketing for a respected market research and intelligence firm and writes young adult fantasy fiction in her spare time. She has been a friend of Randy’s for almost 10 years, and was honored and excited when he approached her about being a part of the 2020 Vision Quest team. When not editing content for the website, she likes to travel, read, write, and sing soprano in the Harvard-Radcliffe Chorus. While inexperienced in hiking, she has become intrigued by the project and hopes to join the team on a hike in the near future. She looks forward to being involved with the 2020 Vision Quest community and thanks Randy for this wonderful opportunity. Greg Neault spends his work week at Portsmouth Naval Shipyard repairing and improving nuclear submarines for the United States Navy. This endeavor has taken him to Navy installations around the country and allowed him opportunities to explore our great nation along the way. We’d tell you more, but its Top Secret! When Greg isn’t toiling away over the Navy’s nuclear fleet, he loves to involve himself in any and all things active. He is an avid outdoor athlete, explorer and photographer and has lent those talents to 2020 Vision Quest on many occasions. Greg is very much looking forward to taking on a more active role in 2020 Vision Quest’s day to day business as Social Media Manager as well as continuing his support of our mission in the field. Monique Pierce is a Product Manager in the Healthcare Analytics Business with over 20 years’ experience building technical and process solutions for Healthplans. She has a BS in IT Business Management and she and her husband Rick ( Randy’s brother ) also partner on LARP Portal, a web-based logistics software company that support the live action role playing gaming industry. Monique loves spending time with her grandkids and watching the NE Patriots demonstrate superior team work- preferably both at the same time. She also freely admits to frequently binge watching series on TV. Tracy Pierce is an intrepid soul who enjoys the outdoors, physical activity and challenges of both physical and mental nature. She is the Controller at a DuVine Cycling + Adventure Co. and is thrilled that she can combine her own love of adventure with her love of numbers in her professional life. 2020 Vision Quest has been a large part of Tracy’s life since its inception and she marvels at the impact that Randy’s story has had on people of all ages. Witnessing this connection and impact of our message has served as an important part of Tracy’s personal inspiration. Tracy supports Randy at special events, works on a variety of special projects. She is also the finance manager and a Director on the Board of Directors. Beth Potier is a communications professional, science writer, and purveyor of terrible puns. She oversees research communications at UNH. Beth is an avid cyclist, skier and all-around outdoorsperson, but she also boasts mad knitting skills. She lives in Durham with her son, Holden, and her husband, Randy’s ski instructor/tandem captain/fraternity brother Brent Bell. 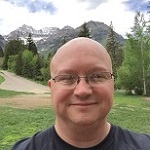 Rick brings experience in corporate marketing and employee communications management (Digital Equipment, Cabletron, Enterasys Networks, Measured Progress) to his role on the 2020 Vision Quest team. He met Randy, Tracy and Quinn in September 2012 at the Highland Center debut of “Four More Feet,” and was thrilled to be able to get involved, a few months later, with the team supporting the meaningful work of this organization. Beyond family (wife and three grown kids) and work time, Rick’s top addictions are hiking in and around the White Mountains; supporting UNH hockey, the Bruins and Patriots; hiking; and fantasy football. Also hiking. Kristen is a retired Sergeant from the Manchester NH Police Department. She served 23 years in law enforcement between the Concord and Manchester Police Departments. Eleven of those years she served in the Juvenile Division. She was an investigator and juvenile prosecutor where she worked closely with school districts and agencies that serve the youth of the community. As a Sergeant she oversaw the Domestic Violence Unit and worked with many agencies to improve awareness of domestic and sexual violence as well as improve services to the victims of violence. Kristen is married and has two teenage children. She is a sports enthusiast who enjoys working out and watching the Patriots, Red Sox, Bruins and Celtics. Kristen volunteered as a coach for youth sports. She continues to play softball, basketball and soccer, as well as coaching and officiating at the school and recreational levels. Rob Webber is a Principal Architect for AT&T Consulting with over 25 years of experience in the I.T. industry. He designs and implements network and Voice Over IP (VoIP) solutions for enterprise clients such as Partners Healthcare. He also does website and database integration work for several charitable organizations including 2020 Vision Quest. When not working Rob enjoys spending time with his two teenage children, along with playing basketball, hiking, gardening and playing on the beach in Cape Cod. Neil Theberge has over 20 years of experience in IT strategy and finance roles. He has had finance, strategy and IT leadership roles across a variety of industries from software startups and high-tech manufacturing to the defense industry and global financial services. Neil received his Master of Business Administration degree from Bentley University in Waltham, MA and his Bachelor of Arts degree in History from the University of New Hampshire in Durham, NH. Neil lives in Litchfield with his wife Sharron and their two teenage girls, Grace and Regan. The family loves to be together on top of the water, and you can usually find them swimming, skiing or surfing in New England and occasionally in the Caribbean. John Swenson has worked in the NH Community Banking Industry for 25 years. His focus over those years has been in the retail consumer and mortgage lending field both as a loan officer and more recently in the operations management side of the business. John has been involved in numerous operational efficiency initiatives during his career and has successfully introduced document imaging to the loan divisions of two community banks. He currently serves as Senior Vice President of Bank Operations at Bank of New Hampshire. When not at the office, John can be found enjoying time on Lake Winnipesauke or unwinding in the White Mountains. Other outdoor interests include skiing – both snow and water, kayaking and cycling. Jose Acevedo is known for his passion towards energizing teams and delivering impactful results. Currently in a senior Human Resources role with 24 Hour Fitness, Jose brings over 20 years of leadership expertise across multiple industries. He’s a dynamic individual who builds lasting relationships, fosters innovation, and drives bottom line impact. He also has a proven track record organizing volunteers with various organizations and a creative approach to fundraising. In 4 years as Event Co-Chair for the American Cancer Society’s Relay For Life of Broomfield, CO, he personally raised tens of thousands of dollars for the fight against cancer, while helping generate hundreds of thousands across the broader events. Jose has had the pleasure of knowing Randy for a couple of decades, and has long considered him one of his personal heroes. As a friend, he has been passionate about the 2020 Vision Quest mission from the beginning – when it was just how Randy lived his life in the face of adversity. A huge fan of fitness and the outdoors, Jose enjoys spending free time with friends and family, travelling, reading, and cheering on his Boston sports teams – even though he now calls Seattle home. Monica strengthens the educational knowledge and experience which is at the heart of the 2020 Vision Quest mission. With a Master’s in Education from Manchester’s Notre Dame College and an undergraduate degree from the University of New Hampshire, she is presently a 2nd grade teacher at Bow Elementary School. A strong supporter of several programs for children, Monica will guide 2020 Vision Quest to even better program and curriculum integration. Monica lives in Bow with her husband John and their two children Jocelyn and Erik as well as their dogs Frankie and Frisco. Frisco is a release dog they puppy raised for Guiding Eyes for the Blind. Summertime often finds Monica reading a book or resting beside the Lake at their Moultenboro cottage, unless she manages to escape to New York City for one of her guilty pleasures: Broadway Musicals. Sharon Taubenfeld is a Development Manager with thirty years of experience in government software contracting, commercial software development, and information technology. Originally a software developer at Digital Equipment, she has worked as a Project Manager at Northrop Grumman, Harris, and is currently with Intuitive IT, where she focuses on software projects that serve our Veterans. In addition to her PMP certification, she holds a BS in Computer Science and an MBA. When not organizing the world around her, Sharon spends her time outdoors hiking or biking and indoors sewing her own Renaissance costumes. She has hiked the White Mountains in New Hampshire, the Chic-Chocs in Quebec, the Swiss Alps, and the Cinque Terre mountains. 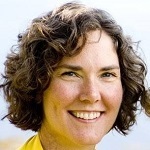 Jenifer Tidwell is a user experience designer and consultant whose past employers and clients have included Google, The MathWorks, and small startup companies. Over the years, she has acquired skills in interaction design, software development, graphic design, marketing, brand identity, technical writing, usability testing, and field research. 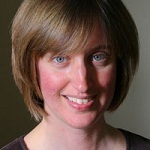 She is the author of “Designing Interfaces: Patterns for Effective Interaction Design” (O’Reilly, 2005). She currently divides her time between writing a second edition, parenting a three-year-old, working on the 2020 Vision Quest website, and protesting that she does NOT spend too much time on Facebook. Before she became a mom, Jenifer hiked and climbed extensively in New Hampshire’s White Mountains, and has lead several of the 2020 hikes. She is eager to share her love of the mountains with Randy, Quinn, and other participants in 2020 Vision Quest. Sarah Toney is a Finance Manager for Publicis.Sapient, a Boston-based digital media agency, and holds a degree in International Business from American Military University. 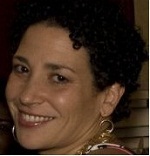 She has worked for several international firms including Aspen Technology and RSA. Since discovering the world of exercise and fitness, she’s become a dedicated runner, competing in races far and near. She’s even taken this love for fitness to others, volunteering her time to help them achieve their own health goals. She still finds the time to squeeze in sci-fi, fantasy and action, be it books, movies or television; and even manages to get into the kitchen regularly to try out all sorts of new recipes (healthy or not). 2020 Vision Quest would like to extend our thanks to the following former staff members who contributed countless hours of their time to get 2020VQ where it is today!